There may be few places as depressing as a mediocre hotel gym. Often a lobby-adjacent afterthought, the collection of treadmills and one Nautilus machine that passes for a �workout room� may not feel sufficient for those vacationers seeking a sweat while on the road. While Mitch-Stuart, Inc.�s charity auction travel packages don�t include gym memberships (yet! ), we can help those in search of a great active vacation, one that stimulates the imagination and the circulatory system. 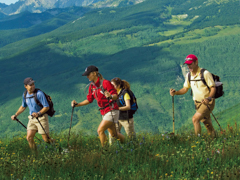 For some of our trip packages, exercise options are built in to the itinerary. Colorado is one of the American states best known for staying active; all that exercise has helped the city of Boulder lead the country with the lowest obesity rate, and three of the country�s ten thinnest cities are in the state. A big reason why is the number of options available to locals for exercise. 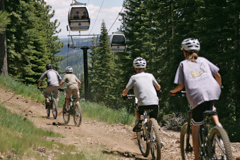 The Rocky Mountains hold ski resorts in the winter and mountain biking opportunities in the spring and summer. Take advantage of those opportunities like a local with a trip to Beaver Creek, Crested Butte or Telluride for downhill fun. Nevada, of course, may be better known for neon and cheap shrimp cocktail than mountain biking and skiing. But if one can look away from the spectacle of Sin City, the northern part of the state has plenty of opportunities to get outside. One of the best of those chances is at Lake Tahoe, with the day-long �Adventure Experience.� Available through our �Splendid Alpine Setting� package, donors can choose between horseback riding, hiking tours and mountain biking around and through the Sierra Nevada Mountains. Those who�d prefer a little less legwork can also choose ATV, snowmobile or Jeep rides, as well. For those who like their activities a little slower-paced, there�s the beauty of Solvang, California, and the Alisal Guest Ranch and Resort. 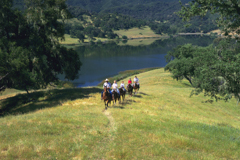 Visitors have the entirety of the outdoors at their disposal, and that can mean guided mountain or road biking tours of the Santa Ynez Valley, a day of fishing at Alisal Lake (or archery with the lake in the background) or even horse-riding lessons. Off the resort, meanwhile, lies some of California�s most scenic hikes; the Santa Ynez River Trail, for instance, offers a good workout and watering holes for swimming. Whether it�s urban hiking and exploring, cliff-side yoga classes or some other form of exercise, your vacation can get your heart pumping for reasons beyond stunning scenery. Reach out to a Mitch-Stuart, Inc. representative for more information. All of the choices available in the Mitch-Stuart, Inc. charity auction package catalog can make it hard to pick just one to offer. Do you send your donors to New York? How about Las Vegas? Or maybe to Paris, or London, or any of practically countless other options? But for those hearty few who want even more choices, even more destinations, there is a cornucopia of options available with a �Choose Your Destination� package. Whether it�s the perfect match for your non-profit auction�s theme, a sentimental choice for a subset of your donors or any other reason, Mitch-Stuart, Inc. can set you up with options around the world. How can you best take advantage of the opportunity to build your own travel package? Think Thematically: If your gala or charity auction event has a theme, there�s a destination somewhere that would make a perfect match. Popular themes like �casino night� may conjure obvious trip partners, but a more subtle through-line for an evening could require a more tailored adventure. Don�t Forget the Hotel: While many planners focus on the city (or country) of the destination, the hotel itself can be a major draw for donors, too. Hotel chains like the Fairmont and Swissotel have worldwide reputations for luxury, meaning that a trip to Peru or Ecuador can be both about exploring a country and reveling in five-star service and amenities. Machu Picchu and mani-pedis in the same package? Why not? 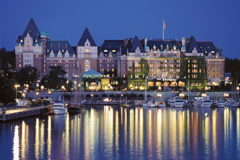 Or how about a visit to the world famous Pikes Place Fish Market in Seattle, followed by a tremendous dinner at the Fairmont Olympic Hotel�s in-house restaurant, the AAA Four Diamond-earning The Georgian? Travel for the Cause: Are there major events involving your charity on a yearly basis? A conference open to the public to discuss the issue for which you advocate? With the larger number of options available via the �Choose Your Destination� category � our �The Journey of a Lifetime!� trip can send a donor to a Hyatt anywhere from Seattle to Boston and San Diego to Ft. Lauderdale � it�s easy to send a supporter to a destination or conference that deepens his or her connection to your cause. For more ideas, or to get the lowdown on the (literally) hundreds of choose-your-destination options available, contact your Mitch-Stuart, Inc. representative today! 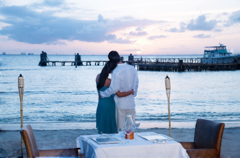 This Valentine�s Day, get some romantic planning advice from the experts at Mitch-Stuart, Inc. They know the world�s top destinations and have provided some options for sweeping your loved one off to parts unknown. As part of their planning for 2014 auctions, raffles and other fundraising events using travel packages and experiences, they�ve got the goods on what�s great this Valentine�s Day. Consider a trip to Sonoma�s wine country. Set in the idyllic, world famous wine growing region abundant with local products, The Fairmont Sonoma Mission Inn & Spa features a signature Michelin award-winning restaurant, a treasured golf course set on 177 acres of rolling terrain, and one of the top spas in the country. 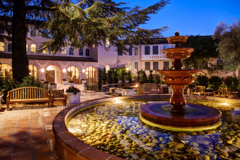 For hundreds of years, ancient thermal mineral waters have graced the site of The Fairmont Sonoma Mission Inn & Spa. Today, the resort is proud to be one of the only luxury spa resorts in the country with its own source of thermal mineral water. Guests will savor the fruits of the wine country on a personalized five-hour tour of the Sonoma Valley in a chauffeured luxury Sedan. Whether you are first-time visitors or veteran wine tasters, you'll enjoy an enlightening, fun-filled day in this picturesque region. 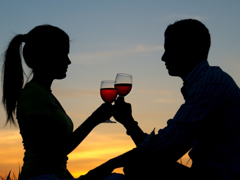 The informative winery tour will be customized based on your individual wine preferences. Find Love in the City of Light. Whisk your Valentine off to the Hotel Littre in quintessentially romantic Paris which is sure to bring a spark to your life, from the fashion, the culture, the architectural heritage, gourmet cuisine, and of course, the romance! 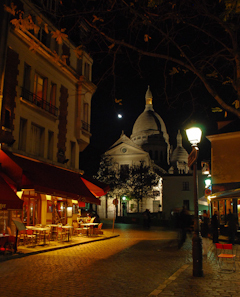 Come explore the capital of France and discover the magic that has beckoned visitors for millennia. 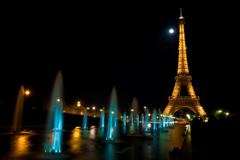 You�ll visit one of the world�s most iconic landmarks, the Eiffel Tower, on your half-day tour, and you�ll be blown away by the beauty of Paris at night on your Paris by Night tour - bonjour! There is so much to see in Paris, from Place de la Bastille, a historical and modernly political square, to the trendy Right Bank district of La Marais, the artists� studios of Montparnasse, to the high fashion districts of Faubourg Saint-Honore. Treat her (or him!) like royalty. What could be more luxurious that a trip to Monte Carlo � The Fairmont Monte Carlo is a unique four-star luxury resort located in the very heart of Monaco. 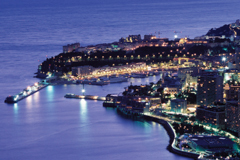 A principality known to everyone, Monaco is nestled between Italy and France on the C�te d'Azur, and when you ascend to the top of The Fairmont, you can see the majestic view of all three countries! Immerse yourself in the beauty and sophistication of this world-class destination with a stay at the Fairmont Monte Carlo. The Riviera offers over 300 days of sunshine throughout the year. 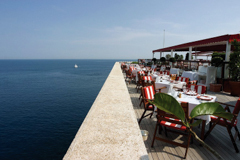 Although the fabulous climate is a primary attraction, visitors are also drawn to Monaco�s warm engaging colors, the variety of its surroundings, and the friendliness of the locals. From the deep blue of the Mediterranean to the dazzling white canyons of the inland countryside, this region never stops revealing surprises. Pamper the People you Love. Embrace the warmth of Cancun, Riviera Maya, Cozumel or Isla Mujeres, Mexico for some well-deserved pampering, discover the freedom of an all-inclusive stay at Palace Resorts, where one price covers your hotel, mouthwatering dining options and snacks, top shelf drinks, non-motorized water sports, exuberant nightly entertainment, and so much more. Palace Resorts deliver a better class of all-inclusive in tantalizing destinations throughout Mexico. There is no comprising on your experience! You�ll find luxurious touches and elegant appointments at every Palace Resort, ensuring that regardless of the destination, your vacation will be exceptional. Bask in the beauty of Cancun, which sits at the tip of the Yucatan Peninsula, where you are invited to explore the area�s natural reserves, archeological sights and attractions. A few miles south along the ancient Riviera Maya, are three more Palaces, including two offering some of the finest golf courses and spas in Mexico, dot the white sands of the coast. The islands of Cozumel and Isla Mujeres are home to more Caribbean Palaces and on Mexico�s Pacific Coast. With six all-inclusive Palace Resorts dotting the sands along gorgeous beaches, to choose from, one of them is certain to provide the perfect setting for your next vacation. This week�s guest blogger and fundraising auctioneer extraordinaire, Kathy Kingston, updates us about ways to tap into key giving trends at charity auctions. According to Kathy�s extensive benefit auction industry know-how, benefit auctions are booming across the United States. In fact, many of her clients broke all-time fundraising records this year. Americans are incredibly philanthropic. 75% of Americans give to Charity, according to Sharon Danosky, fundraising consultant and president of Danosky & Associates. Over 16.3 billion dollars are raised annually at fundraising auctions in the United States according to the National Auctioneers Association. Kathy encourages nonprofits, schools, and event planners to tap into some of the reasons why people give, often the secret to increasing donor participation at benefit auctions. This advice can help you best select travel packages and other live and silent auction items as well as better planning of all elements to ensure your most successful auction ever. Kathy created this acronym, MSL to illustrate how she sees auction guests giving at fundraising auctions: meaningfully, locally, and strategically. Here is how it applies to the ways donors are giving. Meaningfully. Today�s donors give to causes that are near and dear to their hearts, either via personal experience or when someone close to them asks them to become involved. How can you translate this �meaning� to your event? Kathy strongly suggests making sure the event�s mission is central in the conversation. �Not just as the beginning and end of the night, but threaded throughout, visually, conversationally and any other creative way you can think of.� Make sure that your auction guests understand the impact of their gift. Locally. Think globally, act locally is more than just a lovely thought. It is the mantra of many of today�s charitable givers. It is up to fundraising auction and event organizers to demonstrate how donor dollars benefit local causes and strengthen communities. Whether the cause is kids, animals, neighborhood beautification or something else very directly applicable to your audience, Kathy says �Demonstrate the cause and effect for your attendees, make it live and palpable through special guests, video, live demonstrations etc.� Clearly show how an auction donor�s participation will impact your local community. Strategically. Given the changing demographics and buying preferences of auction audiences, Kathy sees a trend towards generous giving during the fund-a-need special appeal. Kathy sees the fund-a-need special appeals as a powerful strategic vehicle for giving at charity auctions. In fact Kathy�s experience over the last several years shows that revenue from fund-a-need is actually outpacing silent and live auction revenue. All donors want their dollars to work especially hard. In many cases guests prefer to give to the cause and not necessarily purchase an auction item. 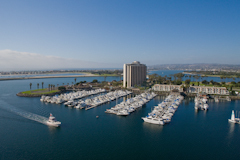 Think about MLS as you begin planning your 2014 events! What trends are you seeing for donor engagement at your auction? What are your ideas? Contact Kathy at Kathy@kingstonauction.com or visit her website at http://www.kingstonauction.com. With more than 450 physicians and other medical professionals on staff, Saratoga Hospital offers care in a broad range of medical specialties. For more than a century, it has been Saratoga�s community hospital. Ann M. Carroll of the Development department of the Saratoga Hospital Foundation is responsible for fundraising and has worked successfully with Mitch-Stuart, Inc. for the past four years on their annual summer gala benefit auction. May this advice help you with your next fundraiser! The last thing you want your guests to say when you are hosting a non profit auction! And it all starts with the location. Here are some outside-of-the-hotel-ballroom options you might want to consider when hosting your next charity event. This can be a win-win situation for your fundraiser and the owner of any of these establishments. Explain to the owner that this could be a great PR opportunity for their business and the possibility of returning patrons is too good to pass up. Lights! Camera! Action! Similar to hosting your fundraiser at a restaurant/bar/club, a local movie or legitimate theater will also benefit from a great PR opportunity. However, the additional benefit of holding something at a theater is the venue�s ability to advertise the event and sell tickets. Let your guests explore a stage where great plays have unfolded -- it never hurts to be in a place of grandeur. Go �Old School� No, you�re not having your donors relive their senior year of college. Contact a local campus group that supports your organization�s cause. Coordinate with them to seek out an interesting on-campus location and give them a chance to also support the cause. This also encourages the next generation of philanthropists. Where�s the most creative place you�ve ever been for a charity auction?